Men who smoke suffer greater cognitive decline during the transition from midlife to old age than those who have never smoked, researchers at University College London found in a study published online February 6 in the Archives of General Psychiatry. The results came from the Whitehall II study, a cohort study of 5,099 men and 2,137 women (mean age 56) performed in three phases: 1997 to 1999, 2002 to 2004, and 2007 to 2009. The cognitive test battery included tests of memory, vocabulary, executive function, and a global cognitive score summarizing performance across all tests. Smoking status was assessed over the entire study period. In women, cognitive decline did not vary with smoking status. 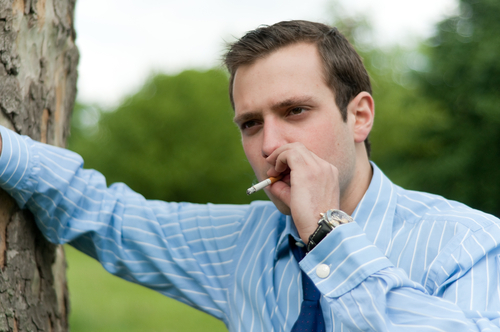 Ex-smokers with at least a 10-year cessation were also unaffected. Smoking is also high on the list of suicide risk factors. Read more about that topic in Psychiatric News.